This morning before work (so sometime between 6:30 and 7 a.m.), Anne came in as I was going out. Well, intending to go out. She wouldn’t let me leave, wanted to show me something. Welcome, then, to this little chick; the first live domestic birth here on The Quarry Farm. There were once crows in this place. They would caw across the hollow, scolding at outdoor cats and other predators. Their young would burr in the tallest, most remote hardwoods, then become silent if anyone or anything other than their parent came close. A decade or so ago, so many raptors disappeared, victims of West Nile virus. The corvids–jays and crows in these parts–died, too. We saw only one dead during that time. It wasn’t inspected by anyone, but we assumed the bird’s death was due to the mosquito-spread plague. Not much was said then in mainstream media about the effect of West Nile on anyone but humans. While the disease caused harm to people–I’m not denying that–the kestrels, and red-tail hawks that had previously perched from telephone pole to fence post were missing for years. We are only just beginning to see them again. But the crows never did come back. 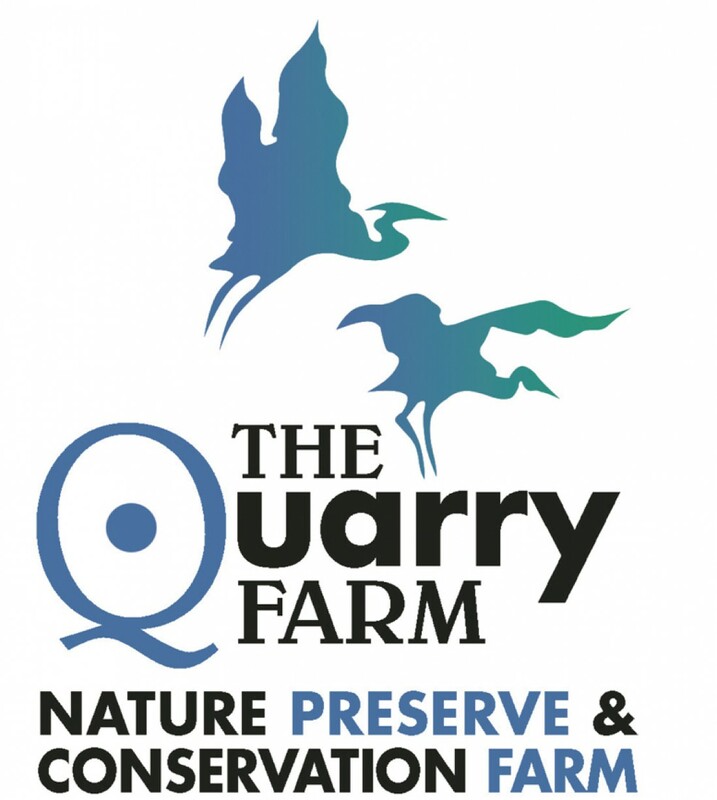 Last spring, we heard two calling in Coburn’s Bottom, the area of the floodplain north of the old quarry. We were so excited, calling everyone we knew and fairly shouting, “The crows are back!” whether the listener was interested or not. Unfortunately, the pair didn’t stay. We began to suspect that there is more to the absence of crows hereabouts than West Nile taking its toll. As I said, the bluejays are back, as are the hawks and even bald eagles. But research and observation of crows has determined that crows tell each other stories. Before a flock of crows enter a new area, they send a sentinel in to scope things out. If the report is favorable, the rest will move forward. If something disasterous happens while they are there–for instance, if one or more are poisoned or shot–the crows leave at the first opportunity. And they don’t forget. That said, there’s strong suspiscion that it was inhumane human behavior that left a big red mark along the Riley and Cranberry Run for crows. Sad, as these birds are thought to be one of the most intelligent creatures that share this planet with people. Crows aren’t a bellwether species, but they are brilliant, secretive, organized and to be allowed to share space with them is an honor. We’ve had the pleasure of spending time with two crows. Blackie and Jo, however, are here only because they have physical and developmental issues that mean neither can be free to make that choice for themselves. Stained glass artist Martha Erchenbrecher created the gorgeous work of art pictured above. The piece is stained glass mosaic or glass-on-glass mosaic. After trying for a few months, we were able to take a decent photo of it today with the winter afternoon sun shining through. We’ve hung it here for farm animal sanctuary visitors to see. One day, we hope to display it in a nature center here. Maybe a scouting crow will see it and tell the others that they are welcome, anytime. 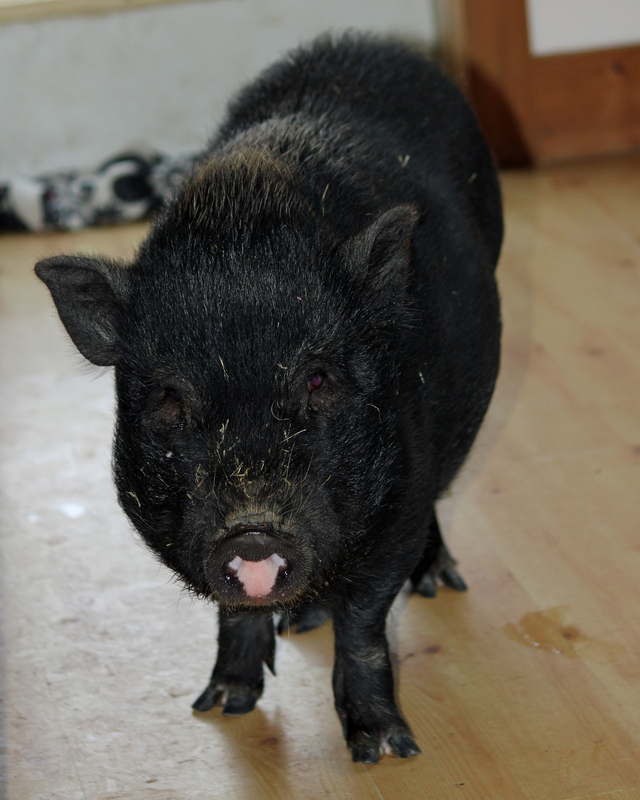 This morning, after almost nine months on The Quarry Farm, one of the sanctuary’s potbellied pigs decided to expand his territory, see just what exactly makes the other side of the green door such a big deal. It took some coaxing, about an hour of Anne’s time, three apples, a banana and a handful or two of peanuts to get him all the way into the house, but, eventually, Alphonse took the plunge. Bob Barker, his father (at least, we’re pretty sure Bob’s his father; their similarities in appearance are uncanny), watched him slowly make his way in, while Beatrice (aka Little Pig) peered through the slats in her pen at all the goings-on. 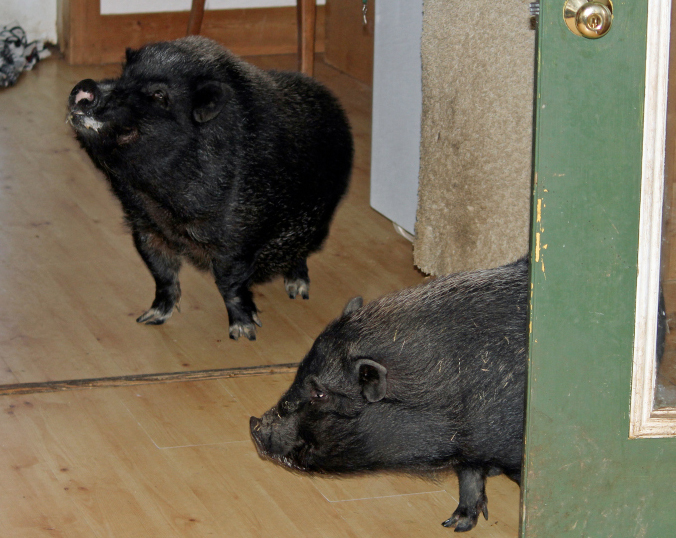 Bob and Alphonse are two of the four pigs rescued from a horrific hoarding situation by representatives of the Humane Society of Allen County and the Allen County Sheriff’s office during the depths of last winter’s freeze. Their story isn’t groundbreaking news — we’ve talked about it repeatedly here — but their recovery is a source of joy for all acquainted with these two. Where Bob settled into a routine relatively quickly, Alphonse has retained near total independence, refusing most advances for even the simplest of interactions. And that’s reflective of what they found during his rescue. While none of the animals had adequate shelter, Alphonse, it seemed, had none at all. He was free of any pen, though the drifting snow had created some measure of confinement. He had worn deep trenches in the snow and roamed the area within their confines. 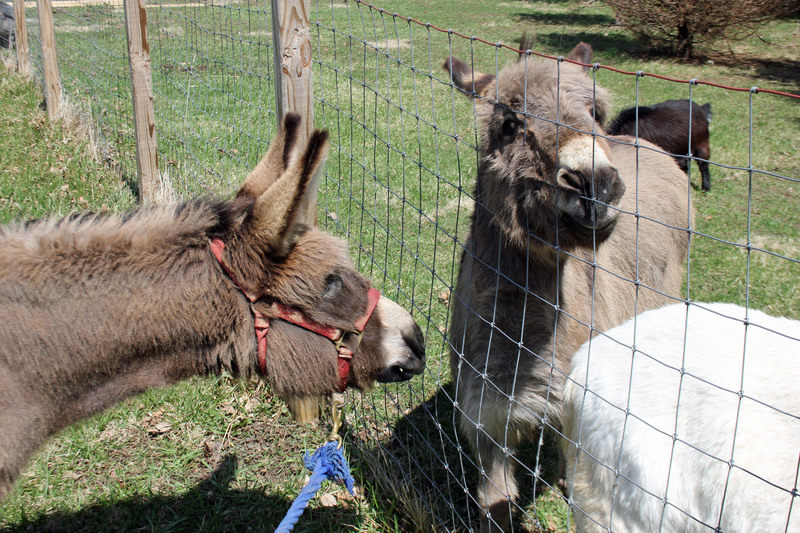 Following his rescue, he, Bob and Greta and Grits, the other two potbellies who now live on the top of a hill down in Kentucky, were sheltered at HSoAC. Even there, Alphonse was less interested in companionship than he was in regular meals. 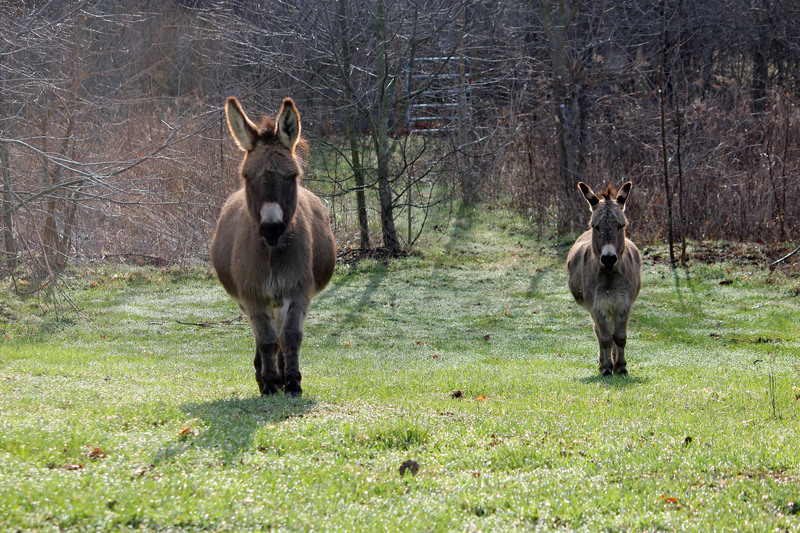 After all of the legal issues were dealt with and out of the way, Bob and Alphonse came here. After several months of living exclusively out-of-doors, Bob discovered the pleasures of clean floors, soft blankets and nearly constant access to treats. But Alphonse, not so much. He settled into the outbuilding we’d originally constructed for the turkeys and that’s where he stayed, quite content to keep his distance. Of all of us, Rowan had the best of luck with him, though maybe it’s better said that Alphonse has been much more tolerant of her than of any others. Routinely, she was the one permitted to touch him. So it was something of a shock when we noticed him standing on the front porch about three weeks ago, and this with Rowan off to college. Since then, Anne has worked with him daily. Talking to him, coaxing him closer to the house, to the porch to the door. This morning, all that effort payed off and he stepped inside for the first time, possibly ever, anywhere. To prove to him that he was still autonomous, captain of his own ship, we let him back out almost immediately. After, that is, as many peanuts as he could eat in the space of three minutes. It wasn’t long before he was back at the door, asking to come in. And out again. And back in. He’s back out, out and running wherever and doing whatever within the confines of the four acres that serve as sanctuary for him and the others…but now he knows. Yesterday, Anne, Laura and I took half the day and drove south to Yellow Springs. Rowan’s there, engaged in a major of Environmental Sciences at Antioch College. It’s a great place to visit, even a groovy place, Yellow Springs having never entirely given up on hippy culture. On the way, we crossed OH-235 and Laura made the comment that, seemingly, no matter where you’re going, there’s OH-235. We’d been on it just a few days before, coming back from a funeral, and here, unexpectedly, it was again. Anne and I arrived home to a message from Laura Zitzelberger, the face and mind behind Nature’s Nursery Center for Wildlife Rehabilitation and Conservation Education. 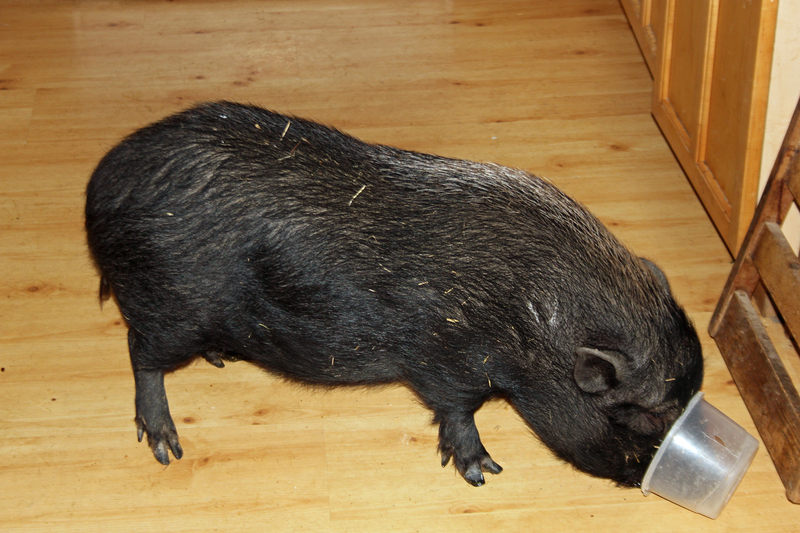 It seems that a potbellied pig had arrived uninvited at someone’s home and they’d called NN to see what could be done. Laura, in turn, called us and we closed the loop by calling June, the woman with the uninvited guest. 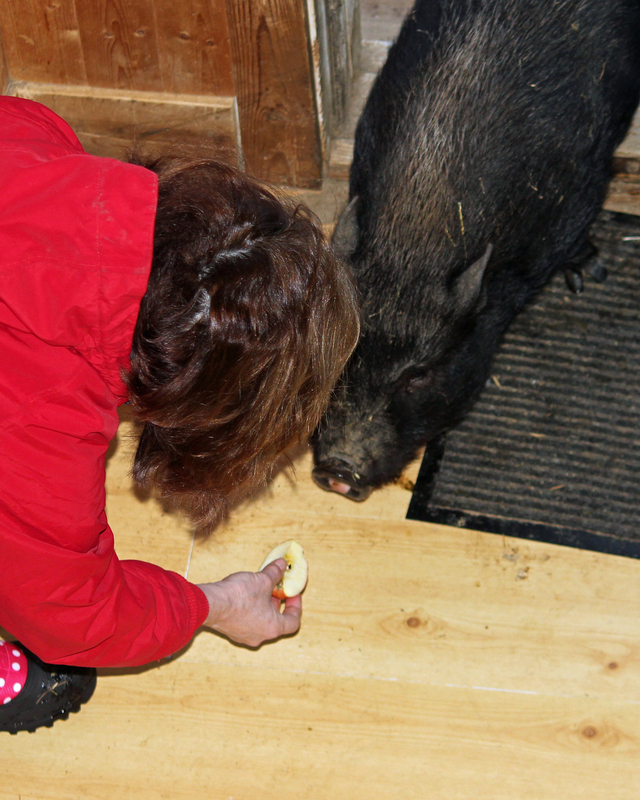 She provided us with her address and we agreed to pick up the pig the next day (today, as I write this), Sunday. In the morning, I input June’s address into mapquest. The recommended route sent me north on OH-235 for roughly an hour. Stepping out of the car, I could hear him, the pig. He was quietly grunting, standing at the gate of a small outside kennel; behind him, a thick blanket that had served as his bed for the night. He trotted out, allowed me to scoop him up and we settled into the car for the drive back. This is the second potbellied pig in less than one week to simply turn up, wandering without direction, without oversight and without hope. And while nowhere near one another – the first was discovered stumbling along State Route 65 in Columbus Grove and the second some 50 miles north – the trend is disturbing. It is, sadly, also not surprising. 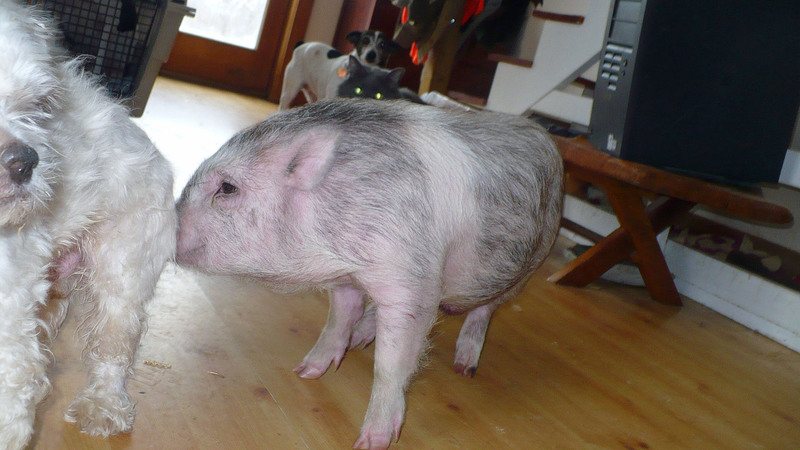 Visit any domestic animal rescue site and the sheer number of pigs up for adoption is staggering. 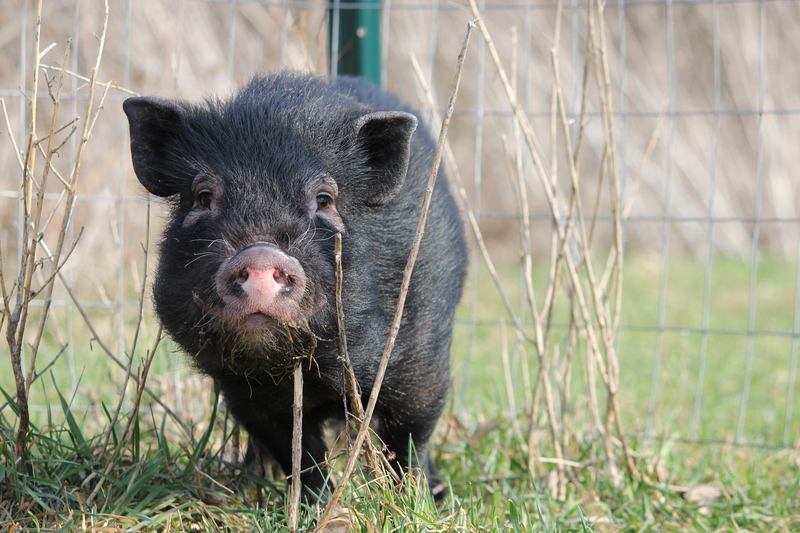 RescueMe (what is, for us, the preeminent site for finding families and animals in need) is overburdened with people seeking new homes for pigs; not simply in Ohio, but all across the nation. And these are the people who are making an effort to re-home their companions. 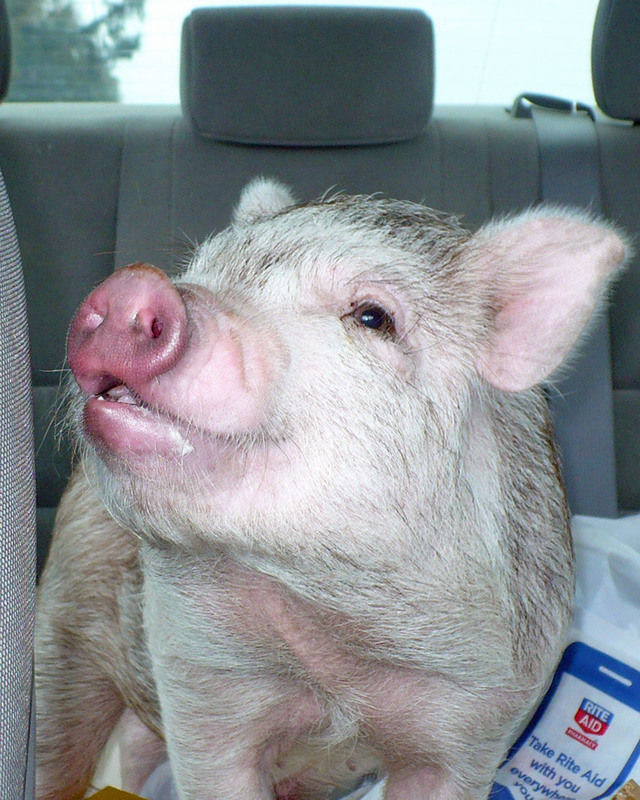 Pigs are smart, strong, curious and obsessive. Left to their own devices, pigs will find a way; and, while cute and cuddly when little, most pigs don’t stay small. A low weight for a miniature potbellied pig is 60 pounds, but, while minis can maintain weights below 100 pounds, seeing pigs in excess of 100 pounds isn’t unusual. So, rather than the Chihuahua they were expecting, they wind up with an animal closer in size to a Labrador, or something even larger. All too often, these pigs that have grown bigger than anticipated are simply abandoned, turned out and left to fend for themselves. Within months, even the most docile and diminutive of pigs may revert to a feral state: growing tusks and thicker hair and becoming leaner and more muscular. Pigs returned to the wild, intentionally or not, within three generations will assume the physical attributes of their boar ancestry, no matter their ancestry. This is just as true of potbellied pigs as it is of Chinas and Polands. But not this pig. He’s here for the long haul, or in another, similar environment.. He’s an intact adolescent male, but that condition won’t last long. 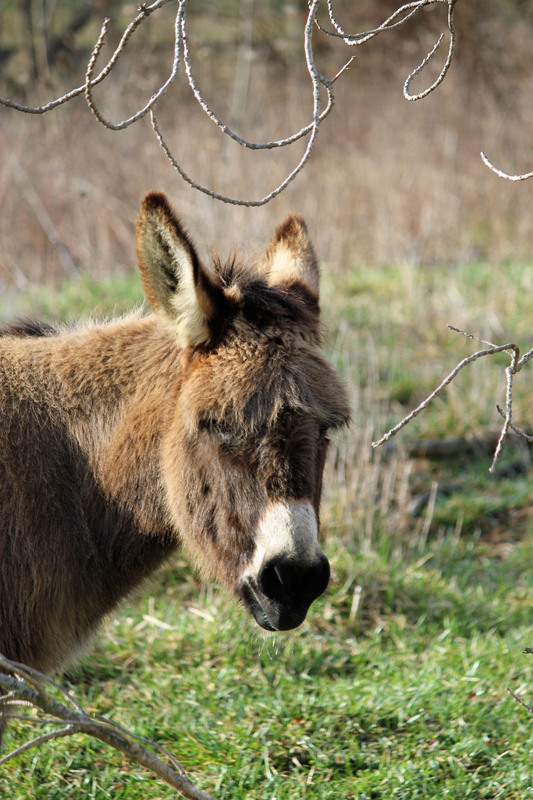 Tomorrow, we’ll contact The Quarry Farm’s veterinarian and arrange for a bit of a snip. Tomorrow we’ll also contact the Wood County Humane Society and let them know he’s here. Just in case someone’s interested.